As a new school year begins, my thoughts have turned to one of the most favored of educational catch-phrases - "to create a safe environment." This keystone for many a school mission statement and educational philosophy is thrown around quite often. I have no doubt that for the majority of those working in and around education, this goal is extremely important, but just how successful are we at creating and maintaining this "safe haven" for our students? 5.0% of students did not go to school on one or more days in the 30 days preceding the survey because they felt unsafe at school or on their way to or from school. 7.7% of students reported being threatened or injured with a weapon on school property one or more times in the 12 months preceding the survey. 19.9% of students reported being bullied on school property in the 12 months preceding the survey; the prevalence was higher among females (21.2%) than males (18.7%). 11.1% of students reported being in a physical fight on school property in the 12 months preceding the survey. If we are going to address the problem of bullying behaviors, it is important to have a clear definition of exactly what this means. Back in the day, most of these behaviors were dismissed as "kids just being kids." Thankfully, this is no longer the case. Unfortunately, it has taken a great number of highly-publicized tragedies involving children who have been bullied to finally begin to dispel this dangerous axiom. I have worked with kids in a wide variety of public educational environments - urban, suburban, and rural. The one thing I can guarantee you is this - it doesn't matter how well-behaved your student body is or how close-knit your school community tries to be, there are bullying behaviors going on right now in your halls, in your classrooms, and in your common areas. And it is up to you to stop it. It is the responsibility of every adult working with children today to protect them. Principals, secretaries, counselors, teachers, librarians, custodians, cooks, and all other faculty and support staff are equally responsible for the prevention of bullying behaviors in schools. #1 DOCUMENT EVERYTHING. 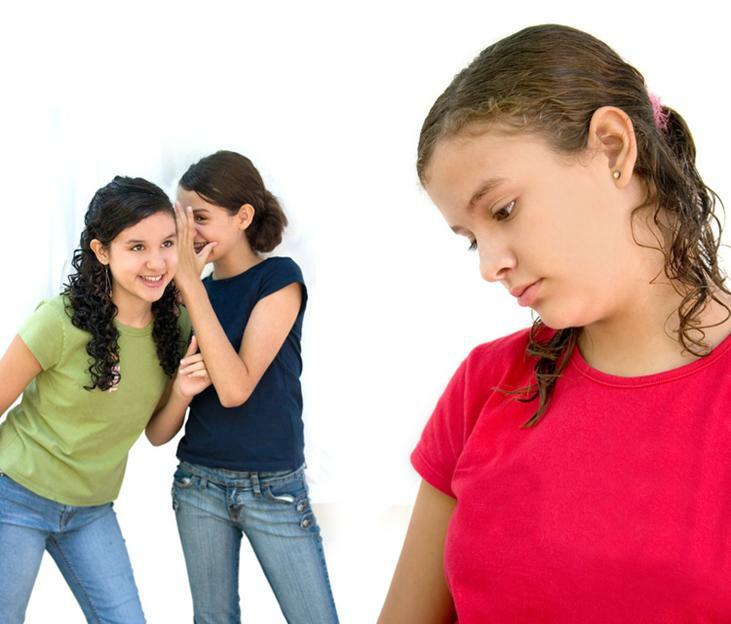 The number one rule for everything related to education is the number one rule for dealing with bullying as well. Take note of day, time, parties involved, behaviors observed, and any actions taken. This not only serves as a written record for your own and your administration's use, but when used properly can also be an invaluable tool for recognizing and tracking patterns in behavior over time and across environments for both the bullies and the bullied. #2 SET CLEAR EXPECTATIONS FROM THE BEGINNING - Talk to your students about what it means to be respectful. Be firm about a zero-tolerance policy for bullying behaviors. Discuss what this means and talk about consequences. Whether the behavior is a single incident due to someone having a bad day or an ongoing issue between students, taking a resolute position from the first day and treating every disrespectful situation with consequences sets the behavior expectations in your room high and keeps them high. #3 KNOW YOUR STUDENTS - Watch them in the hall, pay attention to who they hang out with or if they are mostly alone, get to know their personality and normal demeanor - you will be able to tell if something has changed or if something is wrong. #4 PAY ATTENTION - Be aware of what is going on around you during passing times and when students are entering or leaving your room. Watch their posture and disposition and listen to what they are talking about. These are the best opportunities to identify any potential problems or issues with or between your students. #5 KEEP YOUR CLASSROOM CLOSED TO THE GENERAL POPULATION - DO NOT allow students who are not in your class into your classroom during passing times or prior to class. Just set this as a general policy, even for students you may have during other periods. Require students to keep their visiting out in the hallway and make sure your students know when your class is open for everyone (before school, during planning periods or advisory, etc.). This is one I had to learn the hard way after having a fight break out in my room between one of my students and the boyfriend of another student in my class during a passing period. Lesson learned! The only students allowed in my room during class times are the students getting ready for that class. #6 DEAL WITH SITUATIONS IMMEDIATELY AND AS DISCRETELY AS POSSIBLE - You don't want to give the bully any more peer attention than is absolutely necessary, but you want to show the victim that you see what is happening. You want to send a direct message to everyone in the classroom - this behavior will NOT be tolerated. #7 TAILOR YOUR IMMEDIATE RESPONSE TO THE SITUATION - As with everything in life, each situation is going to be different. One response does not fit all. It is dependent upon the kids involved, the nature of the behavior, and what is happening in the room at the time. Based on these factors, I have removed the bully, allowed the victim to leave the room momentarily, called on one or the other to help with a demonstration or run an errand, and even just used proximity control to stop the bullying behavior until I could get the entire class working independently. This is where #3 comes in handy again. It is much easier to decide on the least disruptive response when you know your students' personalities. #8 FOLLOW-UP WITH THE STUDENT BEING BULLIED, ASAP AND OVER TIME - Meet with the student being bullied privately either directly after class, during his/her next free period, or after school. Talk to them about what happened and let them know that you are there to help in any way you can whether it is in your classroom or elsewhere. Be sure to check-in with the student from time to time just to make sure everything is going okay. #9 FOLLOW-UP WITH THE BULLIES PRIVATELY - For a single student, speak to them from time to time just as a reminder that you are keeping an eye on them and their behavior. If you are dealing with a group, speak to the members individually. I have personally found the best tactic in this situation to be starting with the followers and saving the leader for last. Leaders of groups that bully draw most of their power from the followers. If you can sever some of this support, then you can better diffuse further incidents of bullying. #10 DEVISE A LONG-TERM PLAN, IF NECESSARY - There are times when unacceptable bullying behaviors are just a result of someone having a bad day. While these should be dealt with in the same fashion as on-going problems when they occur, most often a stern reminder of appropriate and respectful conduct will set the situation right. Other times, moving around seating and diligent observation may be in order. Of course, this is something each teacher has to determine for themselves. There are no quick or easy answers to this one. Sometimes you just have to play it by ear, and if your first plan doesn't work, then try another. While you can make the greatest impact against bullying behaviors in your own classroom, you can influence the behavior of students in the general population as well. In common areas, hallways, etc. #11 LET YOUR REPUTATION PRECEDE YOU - Kids talk. If you are a teacher who is vocal about your intolerance for bullying behaviors AND you follow through by taking action against such conduct, students will respond to this when you are physically present in an area. Be a strong visual presence in the halls during passing times and when on lunch or bus duty. Make eye contact with students and speak to them as they pass you. Let them know that you are paying attention to what they are doing and how they are behaving. #12 GET TO KNOW AS MANY STUDENTS AS YOU CAN - This can be extremely difficult in large schools, but it really serves the same purpose as getting to know the kids in your classroom. the more kids you know and the more who know you, the better. #13 DIFFUSE A POTENTIALLY BAD SITUATION WHEN YOU SEE IT - Pull one of the students out of the altercation by engaging them in a conversation unrelated to the behavior. This is where knowing the students comes in handy - especially knowing what students are involved in teams, clubs or organizations in the school OR those who have gifts, talents, or interests in specific activities. Don't think for a minute that they don't realize what you are doing. They do. But in environments involving large peer groups, this tactic will stop the behavior without calling anyone out or publicly embarrassing them. Kids are smart - most will get the unspoken message, "I see you, I'm watching, and I don't approve." #14 INTERVENE FURTHER, IF NECESSARY - Your position requires you to be responsible for the kids in your care whether they are in your classes or not. If you witness any physical or extreme verbal abuse happening - STOP IT. Follow your particular school's procedures for handling the students. Get help from other faculty or staff if needed. Just DO NOT IGNORE what is happening (and yes, I've seen this happen). #15 FOLLOW-UP WITH THE INCIDENT - If you have had to intervene in a bullying situation involving students other than those you see on a regular basis, don't just assume everything has been taken care of once the referrals are over. Follow-up with the administration, the counselors, and the students involved, if possible. This practice not only shows that you follow through on what you've started, but also helps build that reputation we discussed in #11. While most of these steps may seem like common sense, I can assure you I have seen bullying behaviors left unchecked as a student, as a professional, and as a parent. If you believe that as a teacher, your only job is to teach, then I would respectfully suggest that you seriously consider changing careers ASAP lest you become a part of the problem rather than a part of the solution. This should be every teacher's goal.